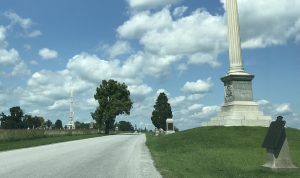 Licensed Guides are available at the Gettysburg National Military Park Visitor Center on 1195 Baltimore Pike on a first-come, first-served basis. Packages are available that include a bus tour hosted by a licensed guide. For the BEST experience hire your own personal licensed guide to go with you and your family in your own vehicle. The guide will, at your request, drive your vehicle for you so you can better enjoy the experience. The Visitor Center is open daily from 8 am to 6 pm during the main visitation season and 9 am to 5 pm at off-peak times – generally from November 1 through March 31. It is closed only three days each year – Thanksgiving, Christmas and New Years day. Guides are occasionally also located at the Association Headquarters – 241 Steinwehr Avenue, the Gettysburg History Center. This is the home of the popular Gettysburg Diorama. Individual guided tours in your own vehicle are extremely popular and one of the most economical touring options. The Licensed Battlefield Guides have specialized in such tours since 1915!. During busy times of the year it is not uncommon to have all available guides committed early in the day. If you wish to obtain guide services, it is best to arrive at the Visitor Center as early in the day as possible. The building opens its doors at 8am during the summer and guide services can be scheduled immediately. Generally by 10am there will be a wait. By 2pm, it may be impossible to schedule a guide for later in the day as all available times are booked. Our guides are perhaps the most versatile in the world in the wide variety of tours offered. On any given day Licensed Battlefield Guides can be found giving specialized walking tours on some aspect of the battle, conducting a tour for a family on bicycles, accompanying a commercial tour on horseback or moped or Segways. 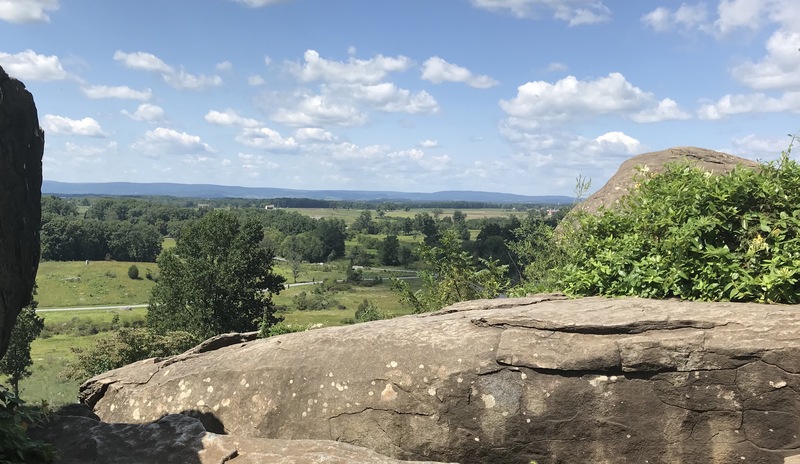 Of course you are most likely to encounter a guide conducting a private family tour in the family’s own vehicle or acting as an on-board guide on a variety of bus tours including those sponsored by the local Gettysburg Tour Center. SEE THE BATTLEFIELD BEST BY FAR… WITH A LICENSED GUIDE IN YOUR OWN CAR! To schedule a custom tour of the town or the battlefield, please leave a message on our reservations line at 717-337-1709.